H&H Classics will hold its inaugural Classic Car Auction Online on February 2, and one of the star cars of the event is the completely unhinged Barris Snake Pit. 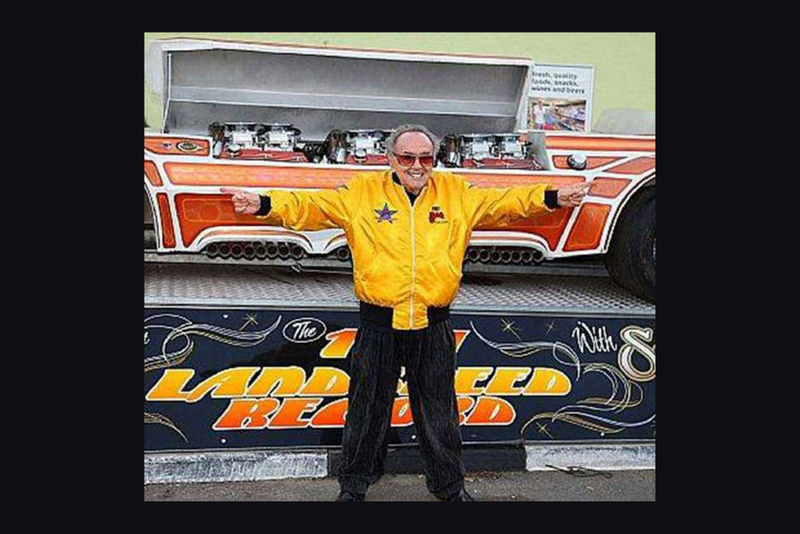 In 1971, famed customizer and Batmobile creator George Barris sought to create a land speed record car capable of 300 mph. Working with aerodynamics engineers, Barris and the California Show Cars team crafted a 23 foot long steel body to exacting standards, then finished it with 30 coats of hand-rubbed lacquer. 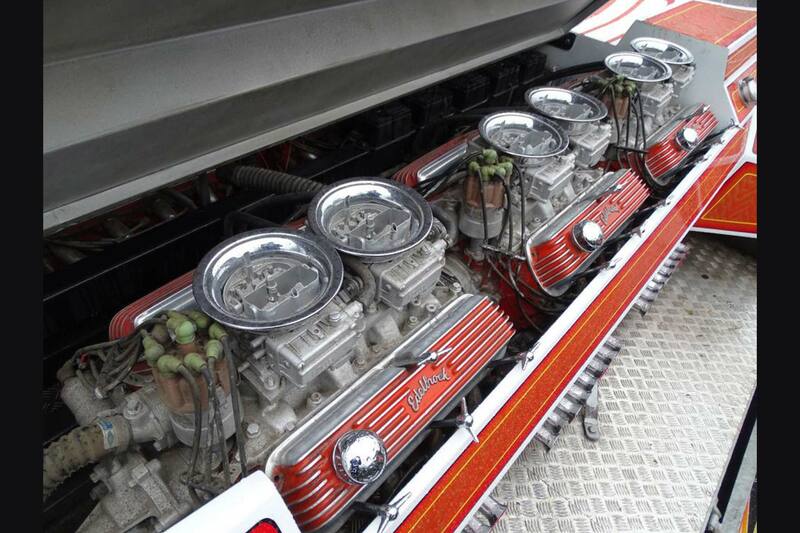 Six Ford Cobra engines were installed, with the goal of 2,000 total horsepower. There were six Cragar distributors, 12 Holley carburetors, 48 spark plugs, and 96 valves to synchronize. Exhaust bellowed out through 48 chromed pipes. The powerplants were mated to twin Ford C-6 transmissions and Pontiac rear ends, with final power delivered to the ground through four driving rear wheels. 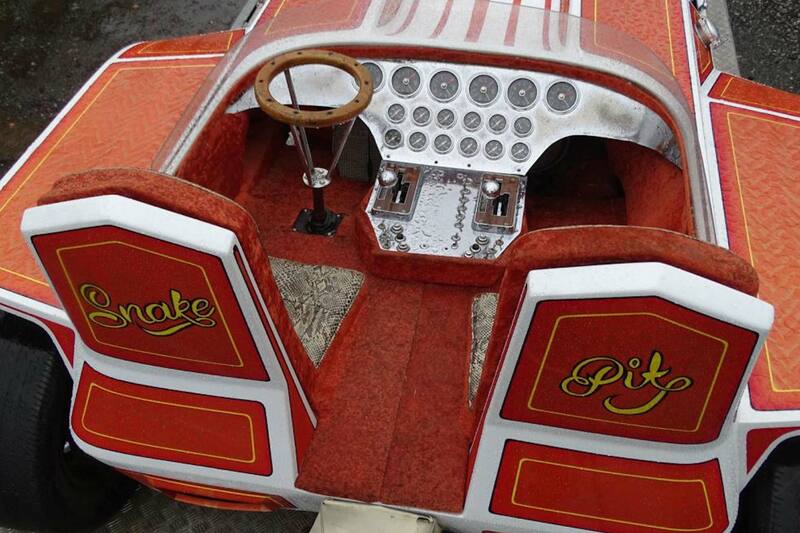 Snake Pit was piloted using two Moon gas pedals and two Hurst shifters. The fearless driver grasped what appears in modern pictures as a nearly vertical custom steering wheel amidst a sea of orange velvet (it was 1975, after all). Period pictures show the wheel in a much more normal position. It took four years to finish the project, and Barris estimated the value $100,000 upon completion in 1975 (just over $450,000 today). The car was offered for sale in December 2017 at a staggering $750,000, yet it appears the most recent price the Snake Pit realized was £17,050 ($21,667) at a 2012 auction in the UK, in line with the pre-auction estimate of £12,000 – £15,000 ($18,700 – $23,400). Somewhere around this time, the car seems to have appeared in a Manchester dealership with a claimed $25,000 repaint. It’s unknown if the buyer or seller ordered the refresh. A 2006 sale lists the car sold at at just over $31,000. The highest price realized for a Barris car was a $4.62 million at auction in 2013, for a 1966 Batmobile owned by the creator himself. At a 2018 Mecum auction, a promotional Batmobile (one of five created by the Barris Group) was unsold at $220,000. The famed Monkeemobile remained unsold at $200,000, and Drag-U-La from “The Munsters” unsold at $70,000. Successes from Mecum were a “Back to the Future” DeLorean replica at $77,000, A “Speed Racer” Mach 5 for $71,500, and a “Starsky & Hutch” promotional 1976 Ford Gran Torino at $27,500. 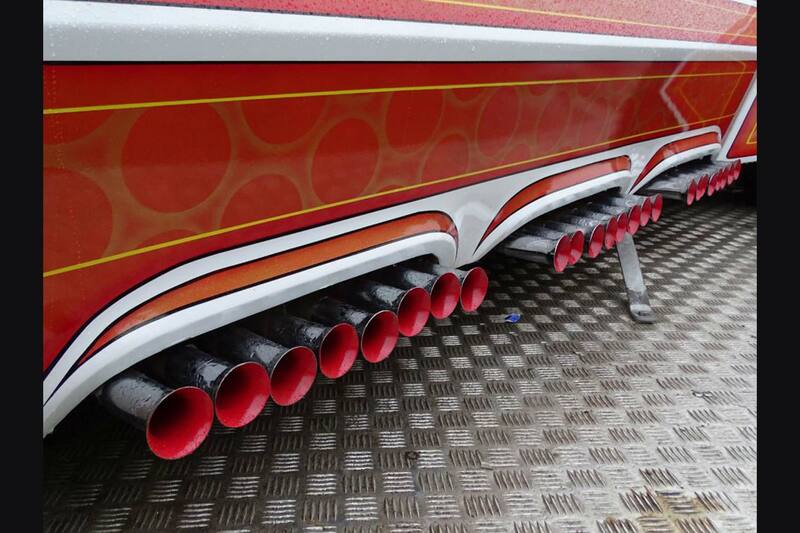 Even with the death of George Barris in 2015, it’s unlikely that Snake Pit will have increased much in value. 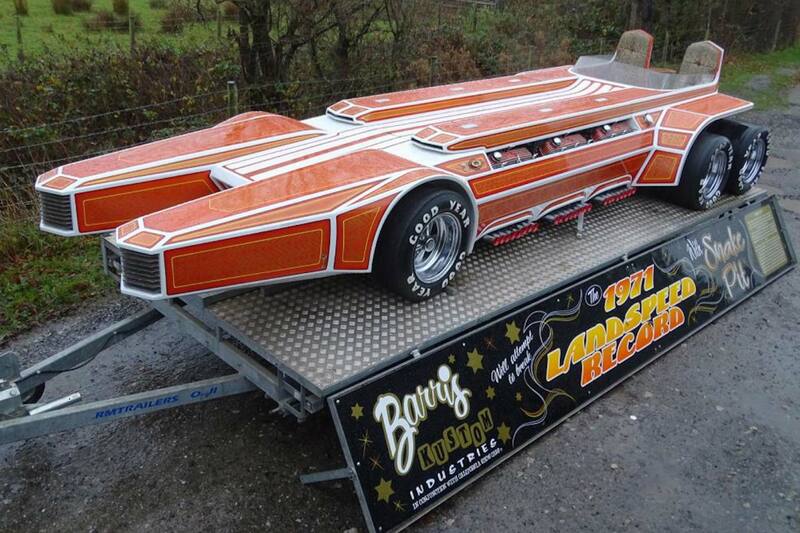 It’s listed as being in “ran when parked” mechanical condition, and lacks the star power of other Barris creations. The new owner will undoubtedly love it for its weirdness, and hopefully get it running so the world can hear the glory of six Cobras firing up at once. Snake Pit is listed on the H&H Classics auction site.